The Rugby World Cup is kicking off next month, and O2 faces a unique challenge - getting its message out despite being a local rather than tournament sponsor. O2 is the long-term sponsor of England Rugby, which may be a mixed blessing when the Rugby World Cup hits the team’s home shores. Being a team rather than tournament sponsor will mean O2 will have to give way to brands including Heineken, DHL, Emirates, Coca-Cola, Societe Generale, Land Rover and MasterCard. England Rugby’s sponsorship is handled by the RFU, while the Rugby World Cup is handled by World Rugby. 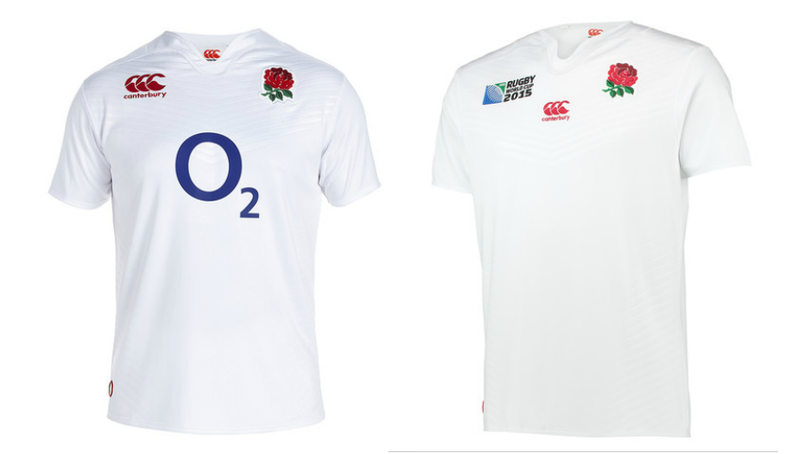 O2’s logo usually features on the England team shirts, but that’s been dropped on the official home kit for the Rugby World Cup. The operator also loses access to the team’s home ground, Twickenham, which will host several fixtures. Speaking to Marketing, Gareth Griffiths said: "It’s been this way for last four or five World Cups, and it’s part of being the partner of a host nation. It’s not a massive issue, we just accept it for what it is." One reason Griffiths can be sanguine is that O2 will still see a better degree of exposure than usual during the Rugby World Cup. Many England fans will turn up with the standard team shirt, meaning O2’s logo will still be dotted around the different stadia. And for the first time, O2’s logo will also feature on the England team’s kit during training between games. 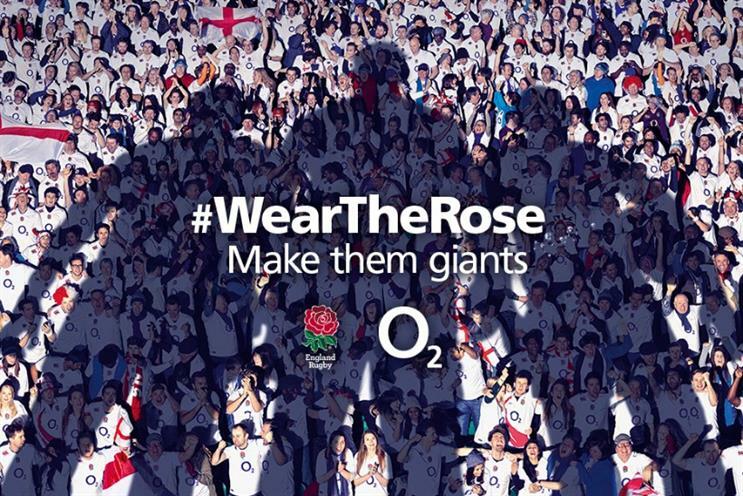 O2 has also had the summer to make its mark and build anticipation for the tournament via its ‘Wear the Rose’ campaign, its most significant during its 20-year England Rugby sponsorship. The campaign launched in February and will run into 2017. Griffiths said: "It’s not just this tournament – it’s the whole idea of getting behind England, and it’s our positioning for the future." O2 will update the campaign next month ahead of the tournament kicking off, and will also host ‘Wear the Rose Live’, an event held at the O2 with Take That, a live orchestra, and members of the England team. That’s an obvious push to attract mainstream consumer, but the fact remains that rugby is less popular than football in the UK. Griffiths added: "We are lead partner of the host national, and it’s a huge opportunity. There are usually 10 million England Rugby fans in this country, and everyone tells us that will at least double. "For us, we’re a mass consumer brand, and it’s an opportunity to take the England Rugby partnership to people who are not necessarily the biggest rugby fans, but are still interested in big events and sport." And as for football, Griffiths pointed out that it had been a "challenging year" for the sport. Sponsors of the FIFA World Cup, including Visa and Coca-Cola, have harangued the footballing body to clear up internal corruption. And the 2022 Qatar World Cup has been marred by human rights abuses of migrant workers. Griffiths said: "Our sponsorship strategy is very focused – we have The O2, the O2 Academy venues, and England Rugby. "It’s been a challenging year for football, and the reason why we’re so proud to partner with England Rugby is the values that the RFU has and that [head coach] Stuart Lancaster has." He added: "We have very high standards that we expect of them. If we were in football, we wouldn’t be happy."